The UAE has “lauded” the Khalifa Hafter-Faiez Serraj talks held in Abu Dhabi yesterday, describing it as evidence of “tangible progress” in reaching a political solution in Libya. A statement by the UAE foreign ministry praised what is said was “the determination shown by the two sides to reach a solution to the current political stalemate in Libya”. The UAE would continue to support efforts that sought to find a solution to Libya’s problems, it said “inclusive of all key players and regions in Libya”. It stressed that the Libyan Political Agreement (LPA) had to remain the basis for any resolution. Any attempts to amend it had to “address legitimate concerns by certain parties, be endorsed by all Libyan parties and by the international community,” it added. Despite this, discussion had to based on Libyan-Libyan dialogue with the international community’s role being encourage greater cooperation and avoid further divisions, the statement said. It also thanked the work of the UN and its envoy Martin Kobler. 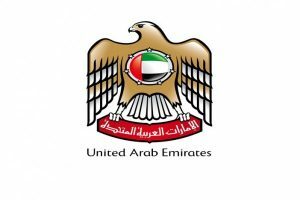 However, the UAE voiced its concern at the presence in Libya of the so-called Islamic State and other terrorist groups, the intermittent on going fighting in the south near Sebha and the influx of migrants seeking to depart from Libyan shores for Europe. Steps to stabilise the Libyan economy were also crucial the statement said. “The key financial institutions in Libya, including the Central Bank, the national oil company and the investment authority, share the responsibility to work together to prevent deterioration of the economy,” the foreign ministry said. “They should also work to create a mechanism to equally distribute Libyan national resources among all parties in Libya, while exerting more efforts to prevent armed groups from monopolising such resources and using them as tools for gaining political influence,” it added. The long-awaited meeting between Presidency Council (PC) head Serraj and Libyan National Army chief Hafter finally took place in Abu Dhabi yesterday. No official statement has been released as of yet though unconfirmed reports say they agreed to reduce the PC from nine to three and the removal of controversial supplementary Clause 8 of the Libyan Political Agreement.